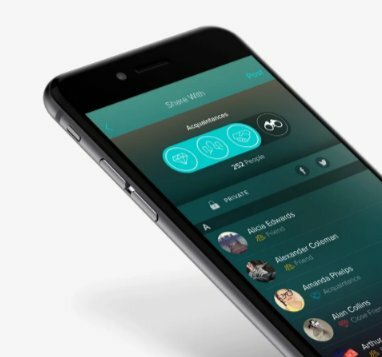 With so many options available for staying connected with other people virtually, Vero App has made its distinct place in this world of digitization by bringing on board new and user-friendly ideas for its users to share media, links, data on an online network without worrying about the privacy. This app was launched in 2015 and was made available free of subscription cost (for a lifetime)to its first one million users, and the company claims that it has more than 4 million users now which is a colossal amount in itself. The company planned of charging subscription cost from the subsequent users who would reflect the legitimate objectives of the company. The creator of this app is Ayman Hariri who is an heir to one of the biggest fortunes of Lebanon. His father, Rafic Hariri has served as the Prime Minister of Lebanon and was the owner of the leading construction company called Saudi Oger. Ayman Hariri who is the co-founder and also the CEO of Vero has always been passionate about technology and software developing despite having a political background and construction business. He is of the opinion that a man should not be judged for where he comes from and for what has been left for him by his father to inherit. The new Vero App has gained confidence and support of the people despite the popularity of the existing Facebook app because it is more transparent and is suiting the demands of the people. The whole Cambridge Analytica data scandal has unveiled the reality of the then most trusted Facebook app. Those apps were publicized to be free of cost but used the data of their customers to earn money. The result was such that the owners of such companies were more aware of the personal details of their users than anybody else. Vero App ensures that it is rid of any data-driven algorithms. The most striking feature of this app is that it does not display ads from other websites that the user might have previously surfed. These advertisements are a result of lousy targeting and user influencing. The posters become intrusive and are so personalized that it is a real threat these days to even wonder how much data we have shared online with the help various apps. Vero App is the new-gen app that understands the importance of data privacy does not use the data shared on its software to earn money.